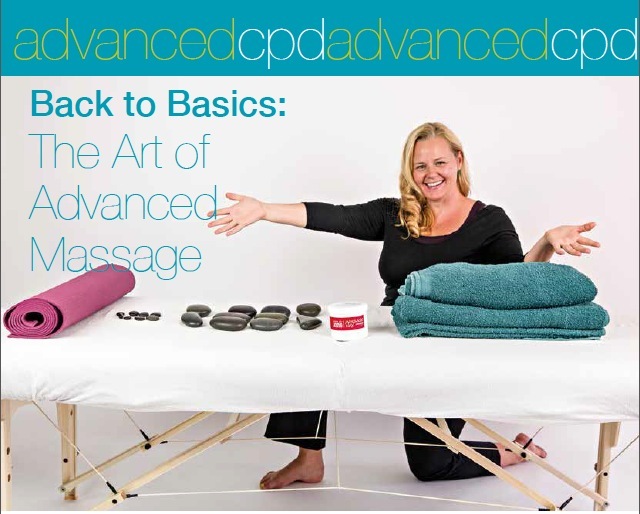 Whatever stage you are at in your practice, this handy guide below will give you some top tips to ensure you have your massage foundations firm enough to build a thriving massage practice! Many moons ago when I was a novice massage therapist, finding a good table was not easy, particularly if you lived outside the massage mecca of the United States. My first purchase was an old fixed height medical couch that my doctor produced from an outside storage shed (complete with dust and cobwebs) for the princely sum of a £25 donation! When Meg and I started Jing it was impossible to find good tables in the UK and we would instead buy them while in New York and bring them back as luggage (possible only with a winning smile at the check in desk). Fortunately times have moved on and these days it is easy to find a great massage table for a good price thanks to the marvels of the world wide web. Ease of adjustment: You need to be ableto lower your table to the correct height for your size so fixed height tables are pretty much a no-no. We are not a fan of the tables with metal legs and the pop out buttons which seem to have a short shelf life. The wooden screw type tables are much more hardwearing. Face cradle: Go for a lovely padded fully adjustable face cradle. Some massage tables only have a hole which can leave the client’s neck at an uncomfortable angle. Width: Choose a table that is wide enough to allow room either side. The work that we advocate in Jing is creative and fuses a number of different massage styles including adaptations of shiatsu and Thai massage. These involve kneeling on the table in order for the therapist to be able to work deeper without working harder. To do this effectively you will need a table that is at least 28” (70 cm) wide. Beauty: Last but not least, make sure your table pleases you aesthetically. Lets face it, there aren’t really any major expenses involved in setting up a massage business and buying a table will probably be your biggest outlay. So why not get a table that you REALLY love! Take time choosing something that totally appeals to you in colour, comfort and looks. I spent hours poring over catalogues when I bought my first proper massage table, deciding on the finer virtues of “Reiki end plates” (whatever they were), depth of padding and type of vinyl. I was devastated when my first massage table was finally retired after decades of hard use as it had become a treasured and beloved companion. Meg’s first table is still in use on Jing courses 20 years on! Standing behind your folded table with the padded side towards your body, unlock the catch and grab both handles to unfold with ease. Make sure the cables aren’t caught around the legs- a common mistake that will give your massage table a short life span. Putting up a massage table by yourself can be a clumsy and cumbersome business but not if you know this golden secret. Stand in front of the table, put one foot on the table leg and pull the table up using leverage. I know I know – just that one tip is worth the book price alone. Table height: Adjust your table so it is fist height or below – this is essential for doing effective and specific massage work without injuring yourself. Make sure all the legs are screwed in securely and they are all at the same height. Face cradle: Adjust your face cradle so it is on a slight downwards angle. Make sure the lock is screwed securely – there is nothing more disconcerting for a client than having the face cradle give way (usually with a loud dramatic crack) in the middle of a relaxing treatment! Ingredients for a perfect massage! Just as with choosing the right table, take time to invest in other equipment that will give your client the most professional and satisfying experience possible. Aesthetically pleasing linens that thrill both your own and your client’s senses contribute as much to building businesses as fancy techniques do! Couch cover that fits properly. Therapists often use a flat sheet as a couch cover but these can slide around and be irritating to the client. 2 bolsters, cushions, or pillows plus a few smaller bolsters. Pillows and cushions tend to more adaptable than the harder specialised massage bolsters as they can be squashed and folded as needed. Make a habit of collecting the small pillows given out on aeroplane flights as these are ideal for a range of situations including bolstering under the belly, using as padding when kneeling on the floor or for supporting the arms when doing specific forearm work. Draping your client so they feel safe psychologically and physically is a very important part of professional massage therapy and should not be overlooked. Good draping not only helps your client feel appropriately protected but is also a mindful and meditative act on the part of the practitioner – the equivalent of massage Feng Shui. Here are a number of top tips to help you drape without fumbling and fussing. Diamond Draping for the gluteals: To expose the gluteal muscles safely while prone we recommend placing a stone on the sacrum and folding the large towel over the top. The stone is not compulsory but adds a bit of extra weight to the drape to keep it in place. Draping legs: Take the bottom corner of the drape and use a long diagonal fold from the hip, tucking firmly above the same side knee. Avoid tucking underneath the opposite leg as this creates a bit of a wind tunnel – not so comfortable for your client. T draping: have one towel lengthways along the whole length of the body; then place another horizontally on the torso. To turn the client into a sidelying position from prone, hold both towels down on your side and get the client to turn towards you. With client’s bottom leg straight and top leg bent, bolster under the client’s head and their top knee to ensure hips and spine are in line. You can also position the client with both knees bent and a bolster between them for comfort. Rest client’s upper arm on top of the drape then fold the top towel over this arm to reveal the back. To turn the client supine from a sidelying position, stand in front of client, hold the towel and ask them to turn away from you onto their back. Breast draping: Have one long towel placed from chest to toes on your client. To expose the abdomen, use another large towel folded in half or thirds lengthways. Lay this towel in a T shape so that it covers the breasts. Hold the top towel with one hand then pull the bottom towel out from underneath to expose the belly. Fold the top towel over. Employing good body mechanics while you work not only helps you to avoid injury but also enables you to use more sensitive and powerful touch. The equivalent of a secret handshake, we like to joke that good bodyworkers are able to spot each other across a crowded room by the grace, composure and sense of focus of their body mechanics. A good massage therapist moves with ease and fluidity, avoiding techniques that place strain on hands, wrists, necks and back. In this way massage becomes a dance and moving meditation, following the principles of tai chi, using breath and energy and from a firm rooted foundation. Power of grounding: As expressed in the quote above, Tai Chi Masters understand that power, strength and grace comes ultimately from the connection with the earth. Before you start working, take time to establish a strong energetic connection with the ground through your feet, legs and belly (known as the Hara or Tan Tien in the East). In Traditional Chinese medicine the Hara is the “centre of being” and martial arts emphasise moving from this place to achieve graceful power and strength. A good visual to help establish a strong connection with the ground is by imagining roots extending from the soles of your feet and penetrating all the way down into the centre of the earth. On the in- breath imagine you are drawing up light, warmth and energy into your belly. On the out -breath imagine that energy is shooting up your spine, down your arms and out of your hands. This is a great visualisation to help you work deeper without working harder and encourages you to operate from your legs and belly rather than the upper body and arms. In this way you are able to give a deeper and more sensitive massage without strain. It does however mean that you will develop muscular horse riding thighs from doing massage rather than buff Madonna arms! Use of the Hara: A good principle of body mechanics is to ensure that your hara points in the direction you are working. Imagine your hara as a strong light attached to your belly that functions to illuminate your workspace. This helps you to avoid twisting your body into uncomfortable positions while massaging. Use your body weight not muscular strength to work deeper. If your table is at the correct height you should be able to lean into the body to achieve depth rather than pressing and straining with the hands and arms. As Ida Rolf, founder of the deep fascial technique known as Structural Integration said “Strength that has effort in it is not what you need; you need the strength that is the result of ease” (Rolfresearchfoundation.org, 2014). If your client needs deeper work, avoid the temptation to strain and instead bring yourself back to your breath and hara. Soften your body, shoulders and arms, breathe out and imagine the breath flowing down your arms as you lean into your clients body to achieve depth. This approach also keeps your body in a sate of receptivity where you can sense changes in the tissues. Tight muscles and locked arms reduce our ability to actually feel. Keep your joints stacked but soft. Avoid techniques that place the hands or wrists in ulnar or radial deviation or cause the elbows to bend excessively. The wrists should be in line with the elbows and the elbows in line with the shoulders. However at the same time, ensure your joints are not locked but have a slight softness within them. Keep your chest and heart area open and avoid the temptation of hunching over or staring at your client’s body. The massage therapist’s quest for X- ray eyes doesn’t help- honest! Use of massage stances: Never bend your back to carry out a move. Use one of the four stances outlined below which will enable you to keep a natural and graceful alignment at all times. While working, your body should mainly be in one of the four stances below. Remember massage is a dynamic dance and you may flow seamlessly from one stance to the other depending on what is best for your body at any one time. Forward Tai Chi Stance: Stand with your feet hip width apart and slide your right leg forward a step. If you drew an imaginary box on the floor, your right leg would now be on the upper right corner and your left leg on the lower left corner. Make sure there is a width to the imaginary box. As you exhale, lean forwards with the centre of power coming from your hips and belly. Bring your hands into the move as if you were carrying out an effleurage stroke from the head of the table. Breathe in as you bring your pelvis back to centre. In this way you can transfer weight between the front and back leg to give power. The torso can stay reasonably upright between the forwards and backwards move which enables you to give power without hurting or bending your back. Horse Stance: Have your feet and legs wider than hip width apart and go down into a slight squat keeping the torso reasonably straight. Make sure knees roll outwards (laterally) rather than inwards (medially) to prevent strain. Transferring weight in a flowing fashion between the 2 legs enables you to work the full length of the body – for example when doing forearm work; or gaining power when doing “pulling up” type strokes. Again the power and direction of movement comes from the pelvis and hara. Kneeling Tai Chi Stance (proposal stance): This can be used to maintain good body mechanics when you need to be at a lower level than standing would allow. The stance looks like you are about to do an old fashioned proposal – one knee is on the floor with the other leg up as if you are about to go into a kneeling lunge. Use a small bolster under the knee if you find this uncomfortable. This is a great stance to avoid bending over – for example working on the arms while the client is prone, or the feet or neck while supine. Seated: Seated position is excellent for some strokes especially neck, head or detailed work on feet. Have your legs wide apart (on most tables you can get your legs just either side of the table legs) and both feet firmly connected to the ground. Make sure your own spine is not slumped. The feet stay grounded while the torso can move with the hands and arms flexibly as required so you can get your whole body into the work. This is one of my favourite sayings and adopting the principles above into your practice will ensure that you truly become a bodywork artist – working with not just your hands but your head and your heart. Rachel Fairweather is author of the best selling book for passionate massage therapists – ‘Massage Fusion: The Jing Method for the treatment of chronic pain”. She is also the dynamic Co-founder and Director of Jing Advanced Massage Training (www.jingmassage.com), a company providing degree level, hands-on and online training for all who are passionate about massage. Rachel has over 25 years experience in the industry working as an advanced therapist and trainer, first in New York and now throughout the UK. Due to her extensive experience, undeniable passion and intense dedication, Rachel is sought after international guest lecturer, writes regularly for professional trade magazines, and has twice received awards for outstanding achievement in her field. Rachel holds a degree in Psychology, a Postgraduate Diploma in Social Work, an AOS in Massage Therapy and is a licensed massage therapist.